The UK’s cyber-security community and a number of key industry experts from across the UK are coming together next week to offer their time and expertise for FREE for just ONE WEEK ONLY – during Security Serious Week as part of drive to get UK plc thinking more seriously about security. In this Cyber-Hostile world, it’s important for companies to share intelligence and expertise which is what Security Serious Week is all about – renowned experts joining forces to inspire others to become more security savvy. The campaign has the tagline “we take security seriously – do you?” and is designed to inform, reward and inspire people to tackle some of the industry’s biggest issues during European Cyber Security Awareness Month. Security Serious Week, sponsored by Mimecast, Netskope and Netconsent will kick off with a brand new FREE conference hosted by the Department for Media Culture and Sport in London on the morning of 3rd October 2016. The one-off event will bring together some of the country’s brightest minds in cyber security and cover topics such as how the UK’s top CISOs tackle security awareness, coping with the ever-changing legal landscape and how (and why) UK companies should be thinking like hackers. Jenny Radcliffe, often described as human lie detector, will also be talking on the “People Hacker” where she will give tips and guidance on how to “wake up the workforce” to the threat of Social Engineering, and will discuss how to maintain the engagement of all staff to help you prevent these attackers from targeting your organisation through people. An issue, which if tackled right, could stop many of today’s hacks in their tracks. The second day of Security Serious Week sees the UK’s “unsung heroes” in cyber security honoured at the Security Serious Unsung Heroes Awards ceremony in London on the 4th October. During the week, there will be a series of free webinars hosted by industry experts on a host of cyber-security issues designed to help companies improve their security posture. “It’s ironic that last year when we decided to run the first Security Serious Week the Talk Talk breach had just happened and this year it looks like the next big culprit is Yahoo – it goes to show that no business is immune to a breach and no matter what their size they often could do with tightening up security and dealing with customer data more responsibly and securely,” said Yvonne Eskenzi, Director of Eskenzi PR and lead organiser of Security Serious Week. The conference and awards programme are set to reel in some of the UK’s biggest cyber security leaders, such as Dr Robert Coles, CISO, GlaxoSmithKline; Avtar Sehmbi, Head of Information Security and Risk Management, HSBC; Thom Langford, CISO, Publicis Groupe and Ian Glover, president of CREST. The week is also designed to inspire young people to enter the cyber-security industry as there is a very large skills gap. “The cyber-security industry is fast-paced, exciting and ever changing but there is a huge lack of skilled people – which is imperative if we are going to stay resilient against the ever growing hacking community often driven by monetary gain or state sponsored espionage,” said Ian Glover, president of CREST, the not-for profit accreditation and certification body for the technical information security industry. 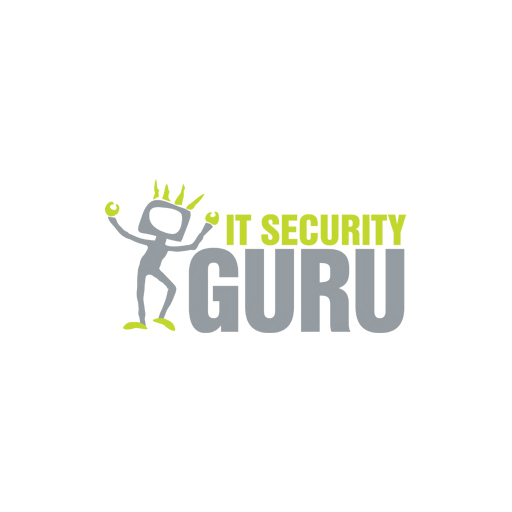 The Security Serious Unsung Heroes Awards are designed to give the professionals in IT security the recognition that they deserve for (often) going above and beyond the call of duty and saving their organisations from the likes of hackers, malware and virus infections. While most awards in the IT sector tend to focus on technology, these will honour the individuals and teams behind the technology. With categories such as Godfather of Security, CISO Supremo, Security Leader, Mobile Mogul and Cloud Security Superhero, around 20 awards will be given on the night compered by Clive Room. The awards have been backed by industry leaders including: Mimecast, Netskope, AlienVault, gsk, Publicis Groupe, CrowdStrike, Lastline, Proofpoint, Imperva, Acumin, Eskenzi PR, Canon and Smile on Fridays.